Not to be out done by the impressive lineup that AT&T just got done announcing here at CES, Verizon has popped off with two new DROID phones to add to their collection (well three technically if you count the DROID 4). 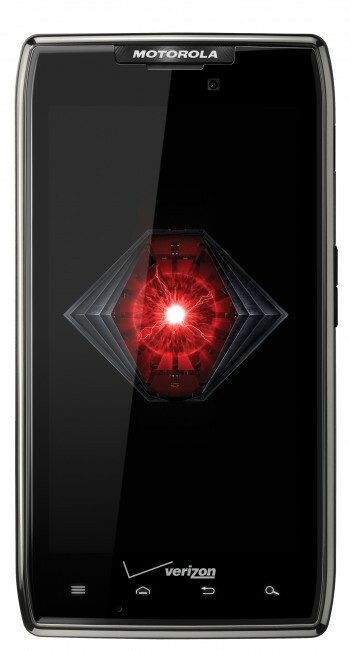 The new DROID RAZR MAXX which is a slightly thicker RAZR, but with a beefed up battery and then a purple version of the original DROID RAZR are both on their way. The MAXX can reportedly last up to 21 hours on a single charge with steady use, however, Verizon wasn’t specific as to how big the battery is inside. And other than it now being 8.99mm thick (regular RAZR is 7.1mm), the specs remain the same. Motorola must have heard the cries of those of you who weren’t excited about the original RAZR’s non-removable battery. Well, this one likely won’t be removable either, but it should last you a bit longer. The other phone is a purple RAZR. Yep, purple. Nothing else has changed. Both phones will be available in the “coming weeks.” The RAZR MAXX will be priced at $299 on contract with the purple RAZR landing at $199. That must mean that the regular white and black RAZRs will also drop to $199? Images and press release below. 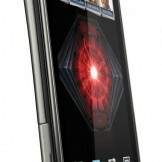 LAS VEGAS, NV and BASKING RIDGE, NJ — From the 2012 International Consumer Electronics Show (CES), Verizon Wireless and Motorola Mobility, Inc. (NYSE: MMI) today announced an expansion of the DROID RAZR™ family. 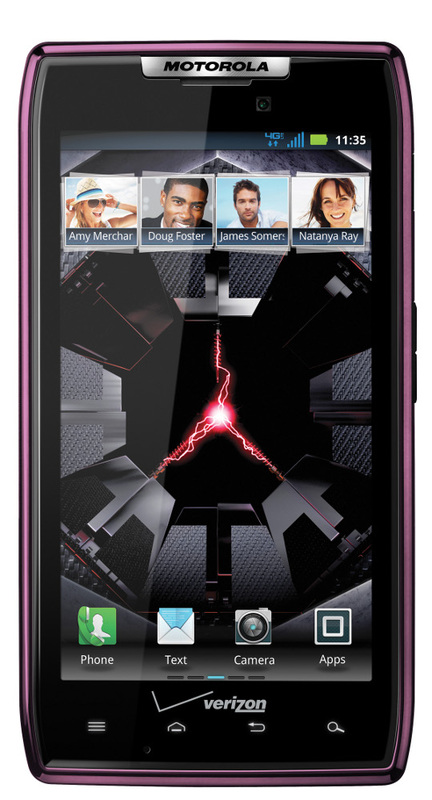 In coming weeks, customers will see the DROID RAZR™ by Motorola in Purple and the DROID RAZR™ MAXX™ by Motorola. 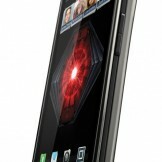 Both new DROIDs are powered by America’s fastest, most reliable 4G network and build upon the successful DROID RAZR by Motorola. DROID RAZR and DROID RAZR MAXX are powered by the Verizon Wireless 4G LTE network and run on Android™ 2.3.5 Gingerbread, to be upgraded to Android™ 4.0 Ice Cream Sandwich. The DROID XYBOARD tablets will also be upgraded to Android 4.0. Both DROID smartphones will be available in Verizon Wireless Communications Stores and online at www.verizonwireless.com in the coming weeks. Customers that purchase a DROID RAZR or DROID RAZR MAXX will need to subscribe to a Verizon Wireless Nationwide Talk plan beginning at $39.99 monthly access and a smartphone data package starting at $30 monthly access for 2 GB of data. Customers that purchase a DROID XYBOARD tablet will need to subscribe to a Verizon Wireless Mobile Broadband data plan starting at $30 monthly access for 2 GB of data. All talk and standby times are quoted in Digital Mode, and are approximate. Battery performance depends on network configuration, signal strength, operating temperature, features selected, and voice, data and other application usage patterns. MOTOCAST supports many popular file formats and codecs. Additional software is necessary to enable use of unsupported files on your mobile phone. DRM-protected content is not supported. Respect the rights of copyright owners by only using MOTOCAST to stream and sync authorized content. MOTOROLA and the Stylized M Logo are registered trademarks of Motorola Trademark Holdings, LLC. Facebook is a trademark of Facebook, Inc. Adobe and Adobe Flash are trademarks of Adobe Systems Incorporated in the United States and other countries. Google, Android Market, Google Maps Navigation Beta, Google Mail, and YouTube are trademarks of Google, Inc. DLNA is a service mark of Digital Living Network Alliance in the United States and other countries. All other trademarks are the property of their respective owners. © 2012 Motorola Mobility, Inc. All rights reserved. Verizon and Motorola Make the DROID 4 Official, Available in the "Coming Weeks"